Clyde is one of our more mature fellows and recently lost his sister, with whom he was bonded. 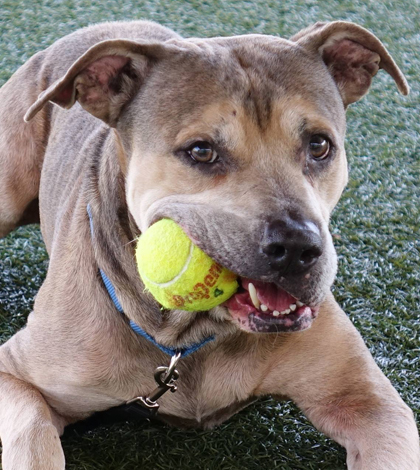 Clyde is learning to interact and make friends with the other shelter dogs in playgroups. He gets very excited with human interaction and is working on his manners, which are coming along quite well. 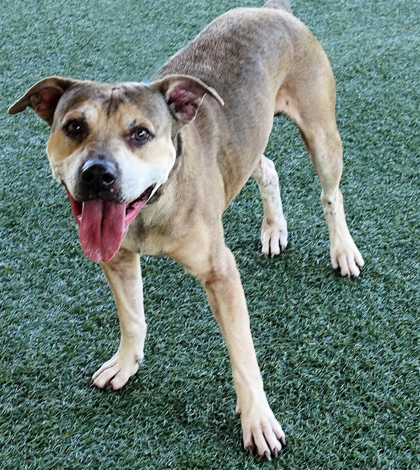 Clyde walks great on a leash and once he is out of the shelter, he settles down quickly. This special guy has been on quite a journey in his life. He is looking for a human to love and call his own. Is that you? Helping Strays shelter is located at 4221 Hanover Road, off the west side of Route 3, between Waterloo and Columbia. Their hours are Wednesday, Thursday and Friday, from 11 a.m. to 7 p.m.; Saturday from 11 a.m. to 6 p.m.; and Sunday, from noon to 4 p.m. The shelter is closed Monday and Tuesday. The shelter can be reached at 618-939-7389.